It’s just one verse in this past week’s reading, but it hit home a lot for me. David was on the run from Saul, seeking hiding places from the jealous king. Saul’s son Jonathan appeared in the story again, always supportive and encouraging toward David. The description of his friendship is simple but powerful: “Then Saul’s son Jonathan came to David in Horesh and encouraged him [David] in his faith in God” (1 Sam. 23:16). More literally, Jonathan “strengthened David’s hand” by reminding him of God’s presence and promise. I cannot speak enough of the believers who have encouraged Pam, me, and her family this past week in her mom’s passing. It’s been quite amazing, actually. 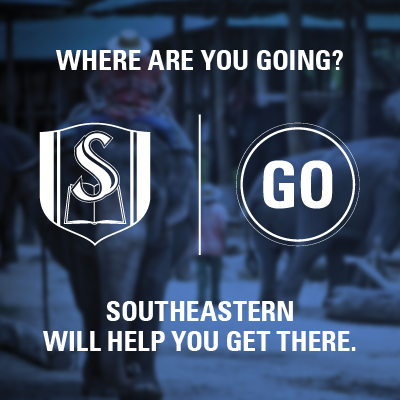 Our friends and colleagues at Southeastern Seminary and our church members at Restoration Church in Wake Forest have been supportive in their prayers, phone calls, and emails. Friends from several churches Pam and I have served together through the years have reconnected with us through Facebook to express their sympathy. Folks we have not seen in years, but whom we’ve never forgotten, took time to visit with us at the visitation and funeral. Even today, we received more notes, cards, and texts from friends who encourage us in our faith. I suppose, though, that I should not be surprised. Over the years, God has always given us brothers and sisters in Christ who’ve been there just in time to strengthen us in our walk with God. That’s just the way He works. Encourage somebody in his or her walk with God today. Perhaps that person will be your pastor. Don’t miss the people whose very presence might encourage you today. READING: Jeremiah 50, Hebrews 8 “One will search for Israel’s guilt, but there will be none.” Jeremiah 50:20 I wish I could forget my sin….